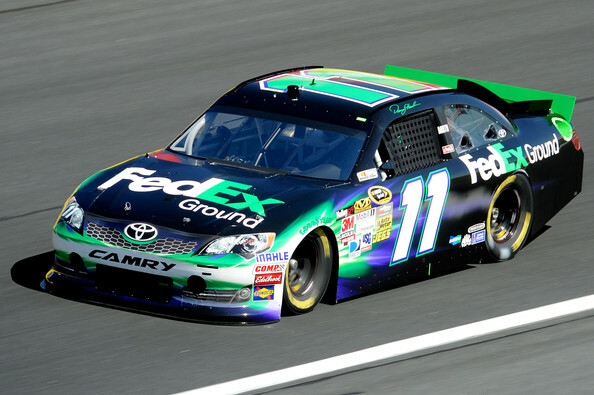 Denny Hamlin was fastest in first practice which gave him the final qualifying spot for qualifying. Denny’s team experimented during the second practice and complained of extremely tight conditions in the center. Darian seems to have gotten a handle on the issue for the #11 FedEx Toyota Camry and Denny was p6 in the final practice. Tune in for the Bank of America 500 race tomorrow night at 7pm est on ABC.